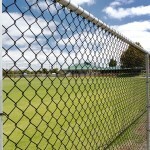 A cost effective solution for fencing projects, our Chain Mesh Fencing is versatile and reliable. 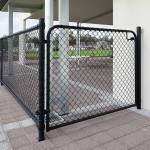 Extreme flexibility and the ability customise provides an incredibly popular choice for a large range of purposes. 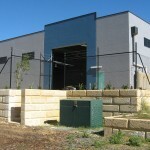 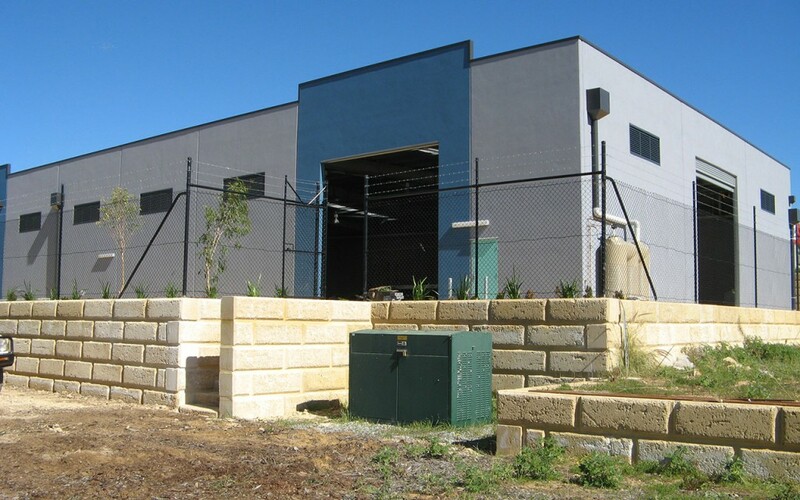 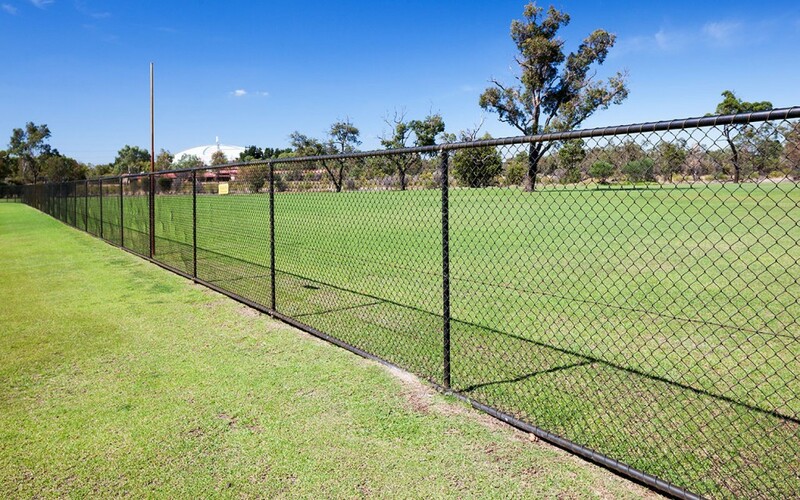 Chain mesh fencing is a product that can be utilised in such a variety of ways. 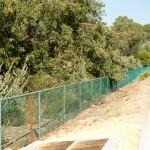 It is affordable and easy to install, making it a natural choice for many purposes. 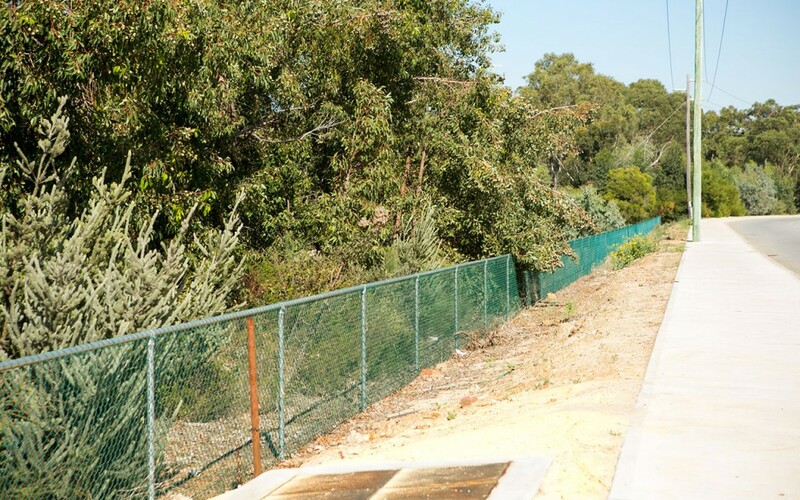 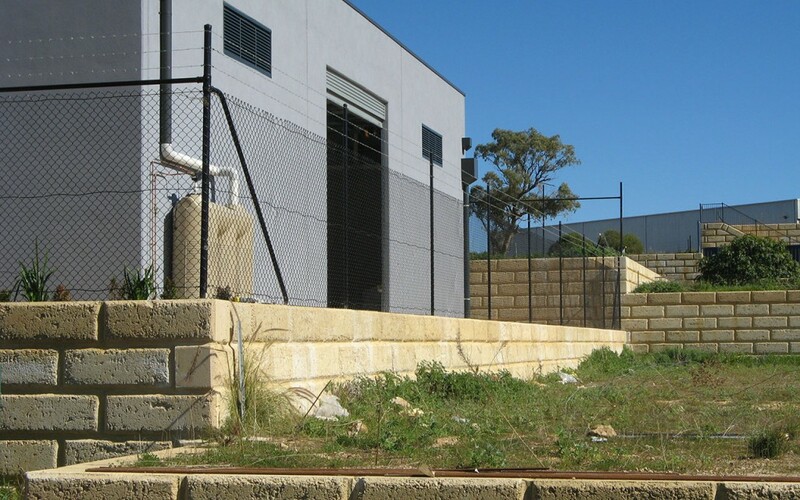 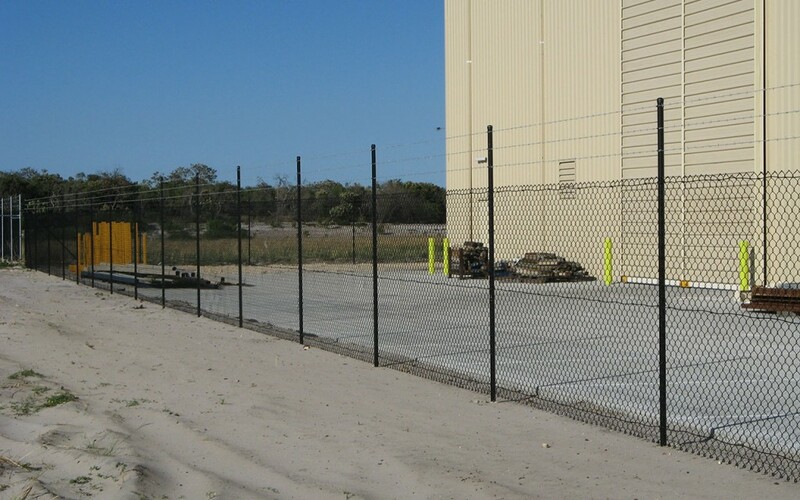 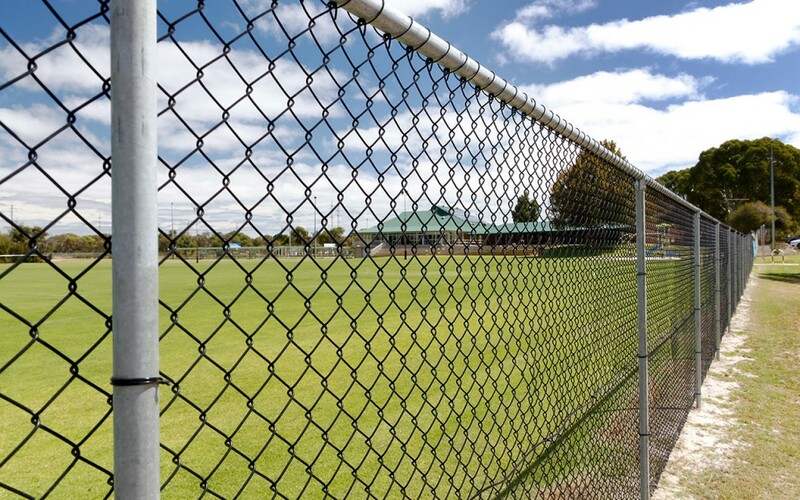 Whether it is used as a divider fence, barrier fence or even internal fence, chain mesh fencing is guaranteed to provide a solution to your security fencing needs. 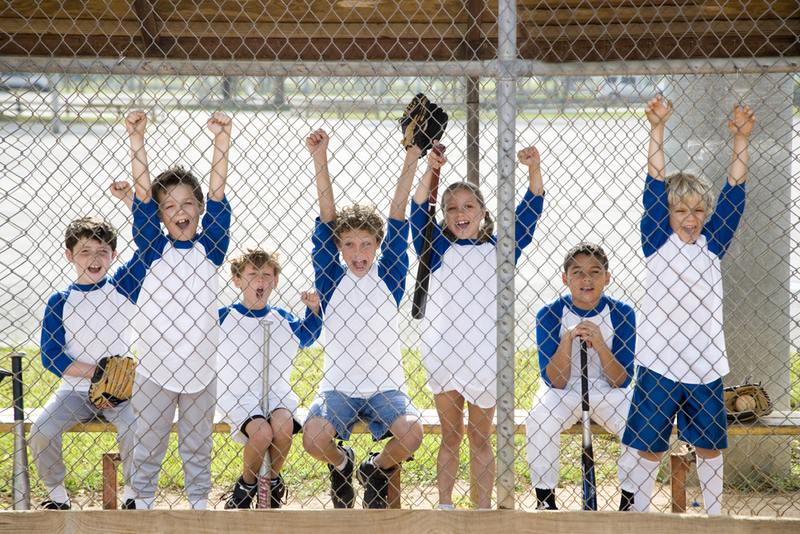 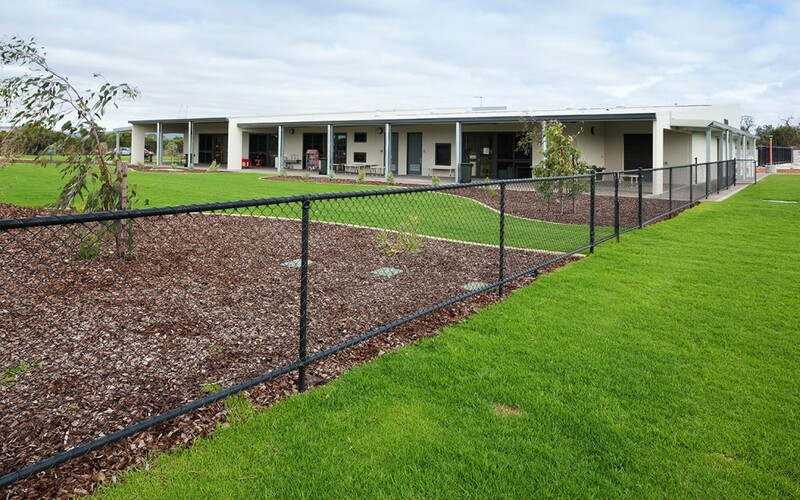 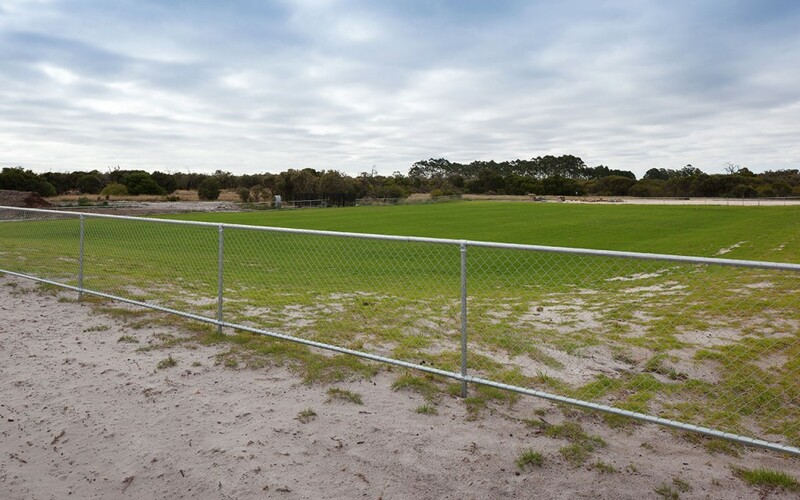 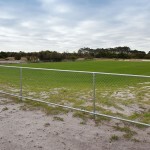 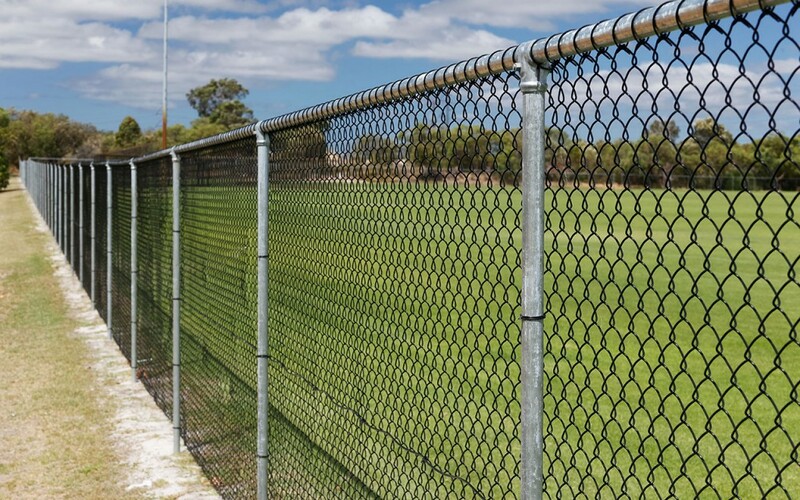 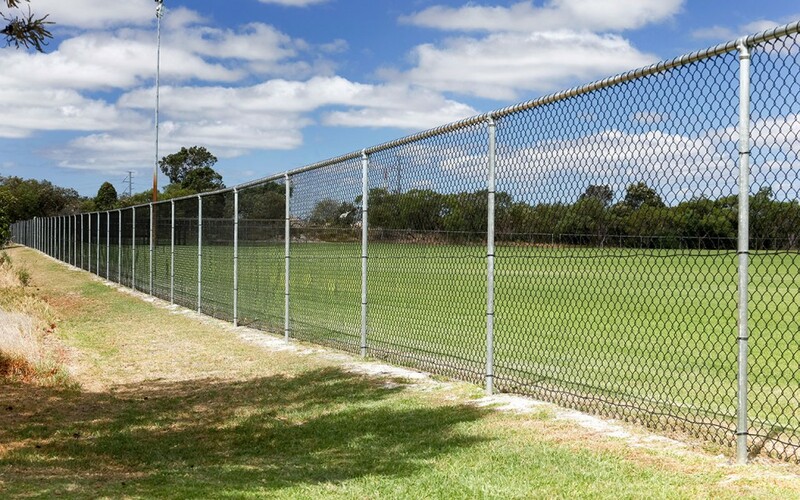 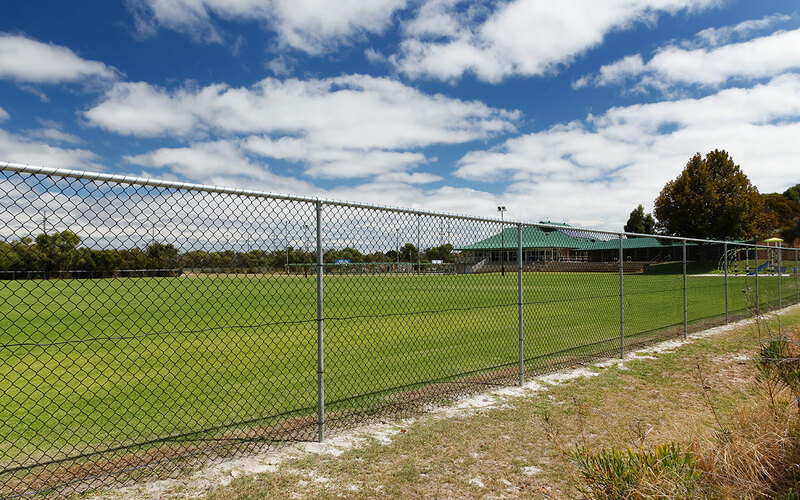 Due to its versatile nature, chain wire fencing is a popular choice for properties such as schools, sporting facilities, ovals and parks. 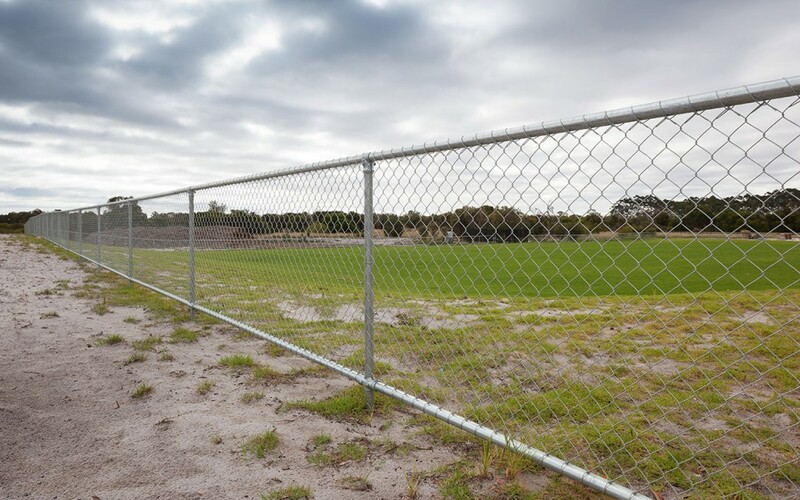 You will also find chain wire fencing commonly used for low-risk barrier fencing on industrial and commercial properties. 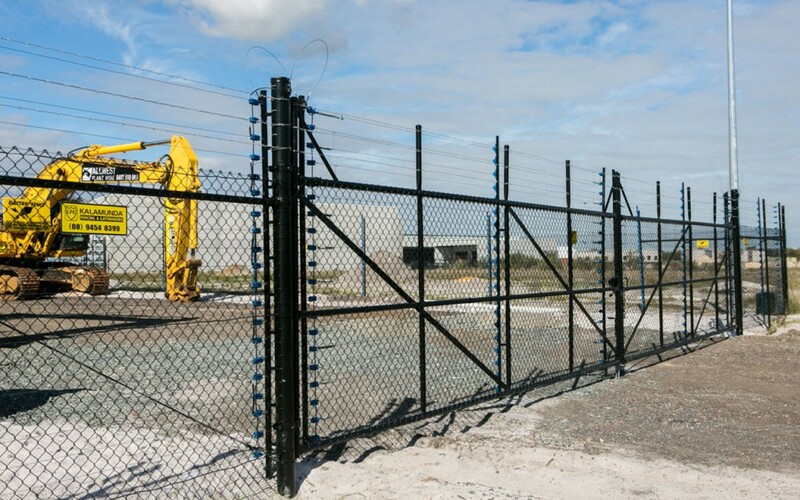 With a variety of heights and optional barbed or razor wire, you can radically increase the security offered by standard chain wire fencing. 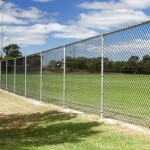 Galvanised Chain Mesh to protect against rust and corrosion. 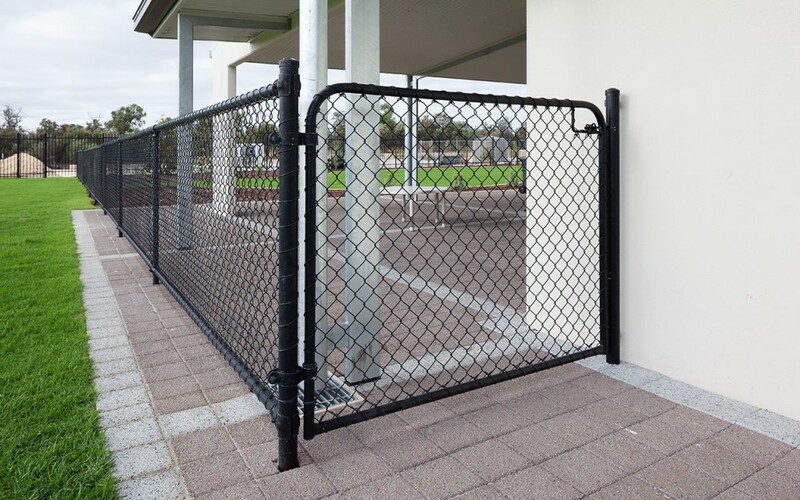 Complete range of accessories available. 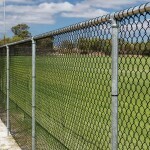 Black or Green PVC Coated Chain Mesh. 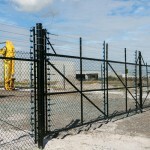 Barbed & Razor wire for increased security protection. 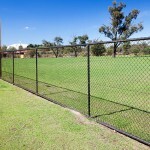 Custom design gates to match fencing and clients specifications. 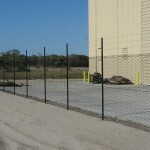 Not sure if chain wire fencing is the right option for your project? 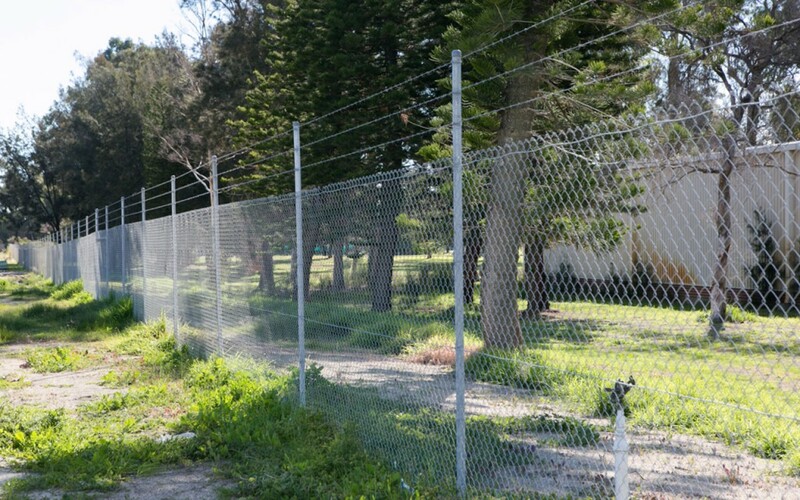 Get in touch with the K-Line Chain Wire Security Fencing Experts today. 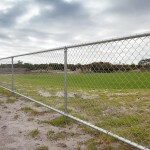 Galvanised chain wire fencing. 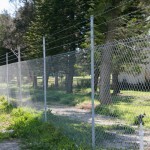 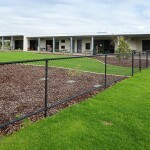 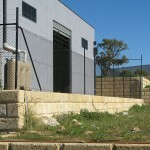 Cost effective security fencing solution.